1771 – The first “instant coffee” is made in Britain. Referred to as a “coffee compound” it was granted a patent by the British government. 1853 – The first American instant coffee product is created. During the Civil War experimental “cakes” of instant coffee are given to soldiers. 1901 – A Japanese man named Dr. Sartori Kato, who is a chemist in Chicago, Illinois, develops the first successful method of creating a stable soluble coffee powder, or instant coffee – just add water! Kato initially develops the technique to make instant tea, and then applies it to coffee. In 1903 he gets a patent for the method. 1909 – For the first time, instant coffee is mass produced. This occurs in America and is done by an American inventor who immigrated from Belgium. His name is George Constant Louis Washington (1871-1946), and he makes the product after seeing, when he was in Guatemala, coffee powder that had deposited on the spout of a a silver coffee pot. Though Washington receives a patent for what will be come the first mass-produced instant coffee, many considered the taste quite unsatisfactory. Washington names it Red E Coffee and begins marketing it in 1909. 1914-1918 – Instant coffee becomes widely popular, particularly with the U.S. military as they buy all available supplies. During World War I the soldiers call it a “cup of George.” When the troops return home they continue to desire the product. 1930 – The Brazilian Coffee Institute asks the chairman of the Nestles company to create a flavorful soluble coffee product (e.g., “instant coffee”) to help Brazil deal with its abundant coffee surplus, and also possibly increase overall coffee sales. 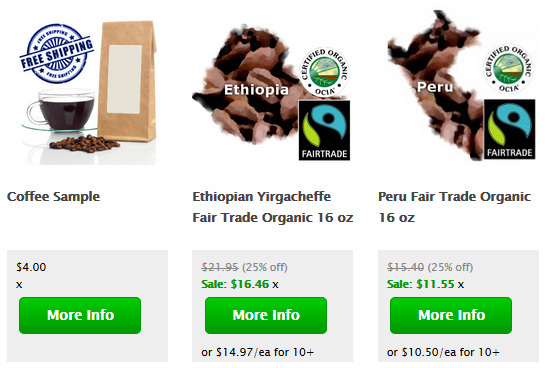 Some liquid and crystallized coffee products are available at this time but their flavors are considered very inferior. Nestle begins several years of intense research to solve the problems. 1937 – Nestle scientist Max Morgenthaler develops a new instant coffee making technique at Nestle’s Switzerland research center laboratory. The new product is named Nescafe, which comes from combining Nestle and cafe. 1938, April 1 – Nestle begins selling Nescafe in Switzerland, and also in 1938 they begin making it at their London factory. Their new instant coffee process involves drying equal amounts of coffee extract and soluble carbohydrates, and the technique produces a better tasting instant coffee which quickly becomes a popular product. The U.S. military becomes a major buyer. 1939-1945 – During World War II instant coffee is very popular with the soldiers. Nescafe and other brands of instant coffee supply large quantities to a growing market. During one year of the war the U.S. military buys more than one million cases of Nescafe – their entire annual output of Nestle’s U.S. plant. 1943 – George Constant Washington’s company is sold to American Home Products shortly before Washington passes away. The George Washington coffee brand continues until 1961, but George Washington Seasoning & Broth is still for sale today. 1954 – Nescafe develops a method to produce instant coffee using only coffee, having previously added carbohydrates for stabilization. The following year they introduce Nescafe Blend 37. 1960s – A better looking instant coffee is developed using a process called agglomeration, which involves steaming the instant coffee particles to get them to stick together in clumps. Unfortunately the second heating/drying cycle further hinders the coffee’s flavor. As the method improves, freeze-drying becomes the preferred method of making instant coffee. 1961 – Nestle ushers in a new era in corporate design with their renowned brown tin. Over the next ten years the tins are slowly phased out. 1964 – Nestle further improves its Nescafe product to retain a finer aroma. 1970 – Nestle begins selling their instant coffee in a clear glass jar. 1972 – Nescafe introduces their “Fine Blend,” a milder instant coffee. 1986 – Nestle introduces a decaffeinated instant coffee. Instant cappuccino drinks and blended ice drinks continue to be used by the military. 1984 – Nestle introduces freeze-dried coffee called Gold Blend, boasting of its new smoother, richer flavor. The product is quickly followed by ultra premium freeze dried coffee in 1985, and then in 1986 Nestle introduces a smooth, mild after dinner coffee called Cap Columbie (made from Colombian coffee beans) and the full-bodied Alta Rica, made from top grade Latin American coffee beans. Altomayo Gourmet is a brand of Peru instant coffee started in 1992. 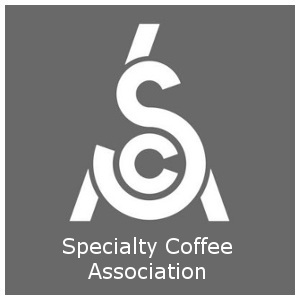 For more great information check out the Espresso Coffee Guide’s Coffee and Espresso Glossary and also see our complete descriptions of all of the world’s top Gourmet Coffees and Espresso Drink Recipes.